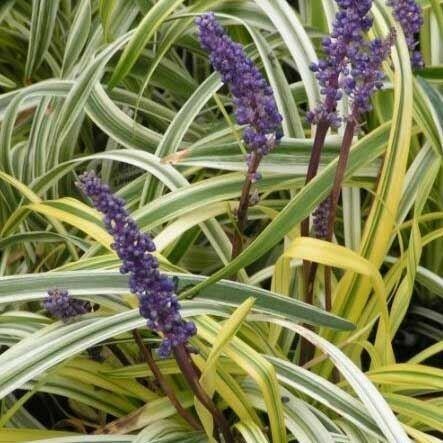 A popular, but hard to find variety of liriope valued for its relatively wide, strappy, green and creamy golden variegated, grass-like foliage. 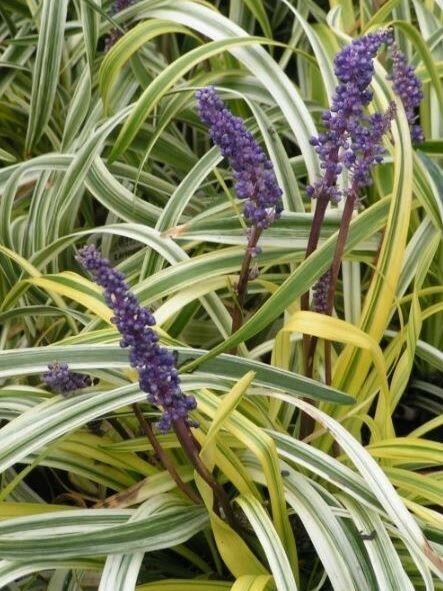 This is a clumping selection which is outstanding in mixed container plantings or as an edging. 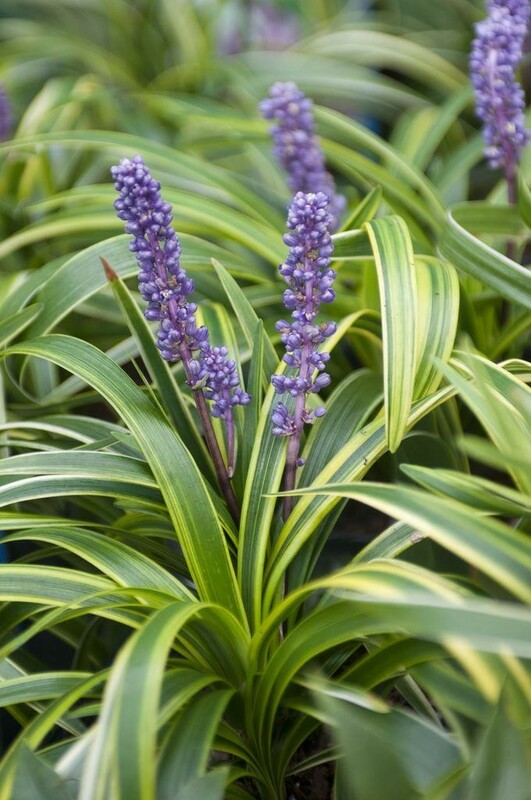 From midsummer into late Autumn, lilac purple flowers similar to grape hyacinths are produced. This plant will grow almost anywhere. 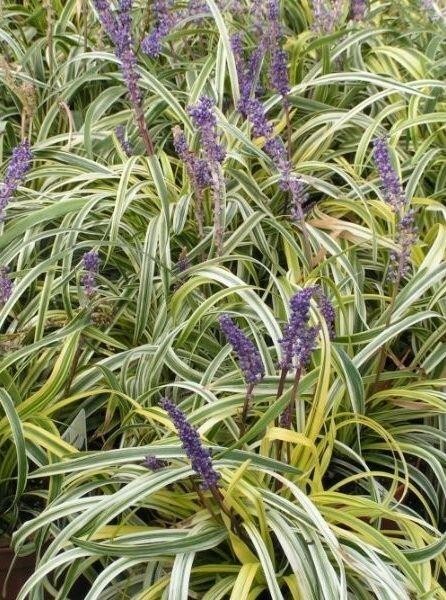 It tolerates full sun, partial shade, or full shade and is somewhat drought tolerant. Supplied in approx 2-3 Litre containers.